Discover simple style with the Bali 1/2" Ball Petite Café Rod. This black rod will hold your favorite drapery to help achieve your desired look. Each end of the small-scale Bali 1/2" Ball Petite Café Rod is capped with a decorative ball that brings a fun final touch to your window. Complement your existing style with the Bali 1/2" Traditional Urn Petite Café Rod. The pewter finish provides a sophisticated look. Each end of the small-scale Bali 1/2" Traditional Urn Petite Café Rod is capped with a simple yet elegant decorative finial. Add style to smaller windows with the Butler Curtain Rod by Kenney. This 1/2" diameter painted metal rod has an aged copper finish with matching decorative finials. The telescoping rod adjusts to fit your window and projects 2 3/4 inches (7 cm) from the wall. The Butler Curtain Rod can be used with lightweight café curtains, sheers and valances. Perfect for kitchens and bathrooms. Mounting brackets, hardware and instructions are included. 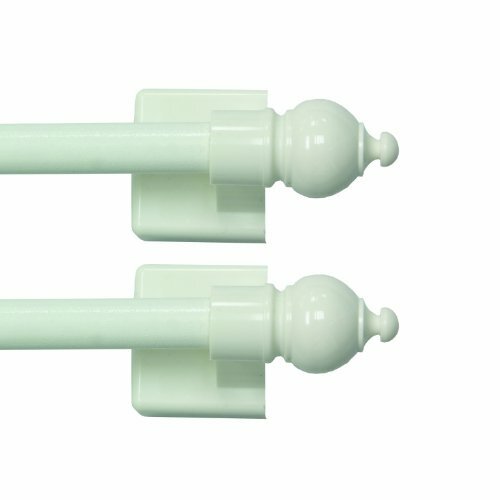 Add a touch of style to your home with the Davenport Petite Café Window Curtain Rod by Kenney. 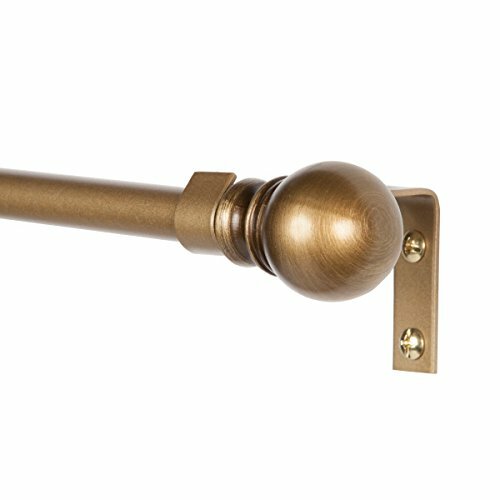 The 1/2 inch diameter Davenport curtain rod in brushed brass is a simple way to add style to smaller windows. Use in your kitchen and bathroom to hang lightweight café curtains, sheers, and valances. The telescoping rod adjusts from 48 inches to 86 inches to fit your window and projects 2.75 inches from the wall. It is ideal for hanging curtains with pockets, back tabs, and tab tops, but can also be used with clip rings. 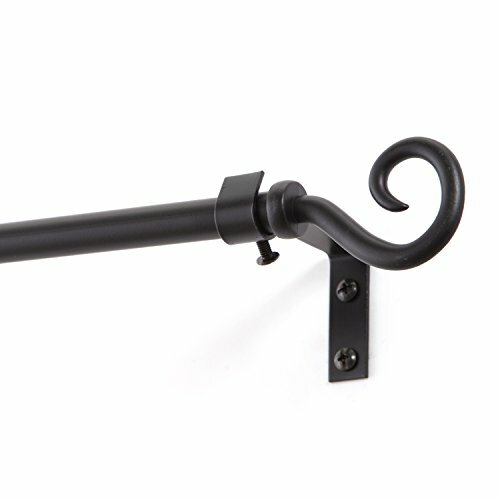 Drapery Hardware Set Includes: one telescoping steel curtain rod with decorative plastic finials (2.03" L x 1.36" W x 1.36" H), two mounting brackets, one center support, screws, drywall anchors, and installation instructions. The 7/16" Multi-Use Adjustable Petite Cafe Sidelight Magnetic Rods by Kenney will attach securely to any steel surface with no-tools required. These rods are perfect for narrow spaces or sidelight windows. Designed for multi-purpose use, the Kenney 7/16" Multi-Use Adjustable Petite Cafe Sidelight Magnetic Rods are suitable for installation on doors, window casings, file cabinets, tool boxes, and appliances such as refrigerators, dishwashers, washers, and dryers. The rods easily adjust from 8.75 to 15.75 inches and can be used to hang lightweight linens such as window valences and hand towels. 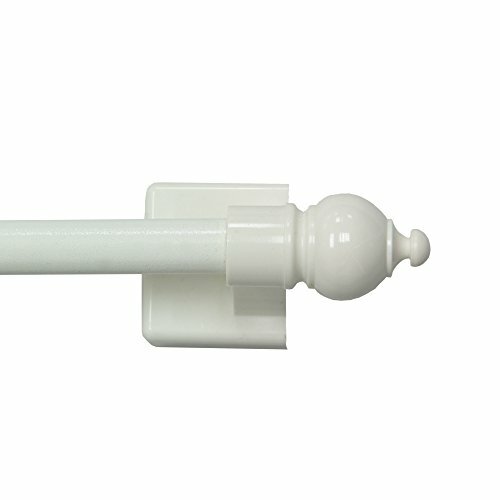 The Kenney 7/16" Multi-Use Adjustable Petite Cafe Sidelight Magnetic Rods have a white finish with matching plastic magnetic mounts. Complement your existing style with the Bali 1/2" Urn Petite Café Rod. The bronze finish provides a sophisticated look. 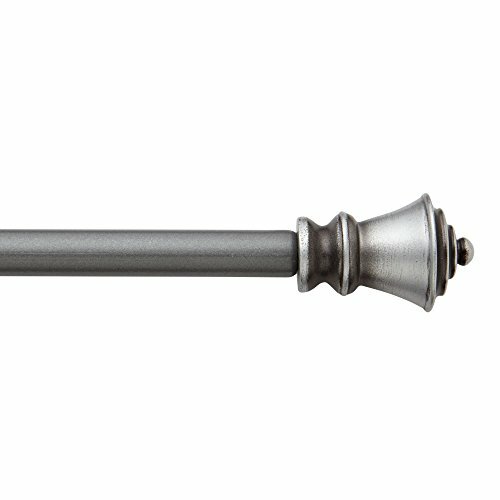 Each end of the Bali 1/2" Urn Petite Café Rod is capped with a simple yet elegant decorative finial. 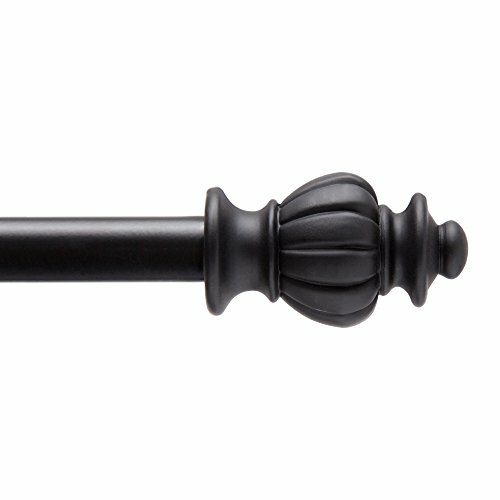 Add a touch of style to your home with the Othello Petite Café Window Curtain Rod by Kenney. 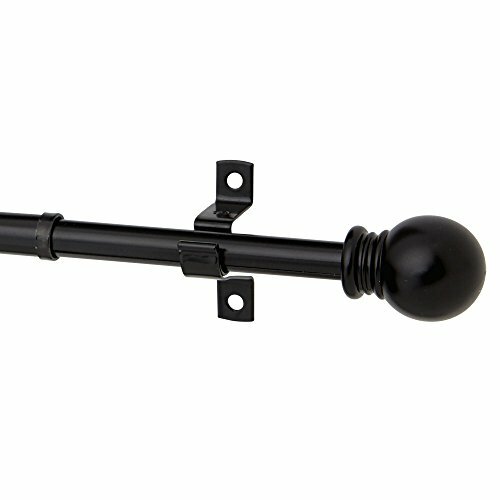 The 1/2 inch diameter Othello curtain rod in black is a simple way to add style to smaller windows. Use in your kitchen and bathroom to hang lightweight café curtains, sheers, and valances. The telescoping rod adjusts from 28 inches to 48 inches to fit your window and projects 2.75 inches from the wall. It is ideal for hanging curtains with pockets, back tabs, and tab tops, but can also be used with clip rings. 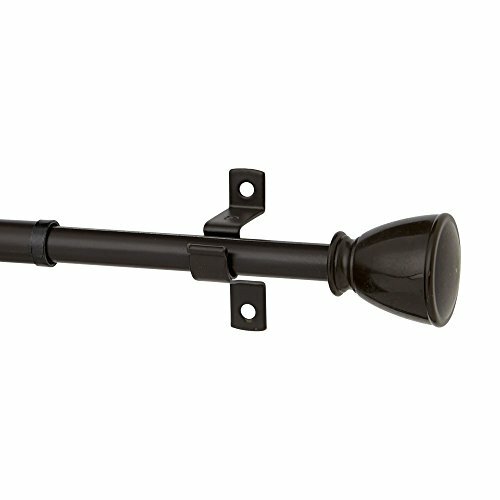 Drapery Hardware Set Includes: one telescoping steel curtain rod with decorative plastic finials (1.95" L x 1.19" W x 1.19" H), two mounting brackets, screws, drywall anchors, and installation instructions. 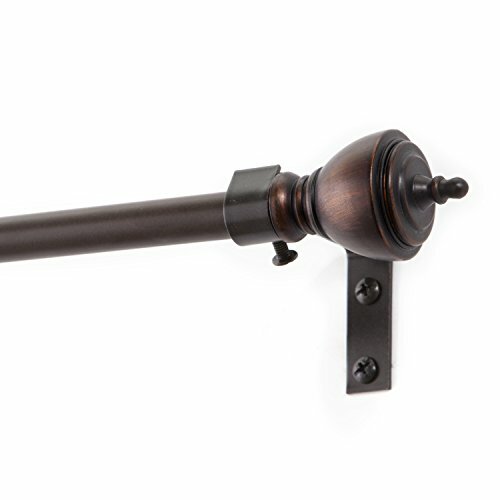 Add style to smaller windows with the Medieval Hook Curtain Rod by Kenney. This 1/2" diameter painted metal rod has a black finish with matching hook finials. The telescoping rod adjusts to fit your window and projects 2 3/4 inches (7 cm) from the wall. The Medieval Hook Curtain Rod can be used with lightweight café curtains, sheers and valances. Perfect for kitchens and bathrooms. Mounting brackets, hardware and instructions are included. Looking for more Petite Cafe similar ideas? Try to explore these searches: High Yield Micr Print, Firecracker Vine, and White Gold Diamond Horse. Look at latest related video about Petite Cafe. Shopwizion.com is the smartest way for online shopping: compare prices of leading online shops for best deals around the web. Don't miss TOP Petite Cafe deals, updated daily.